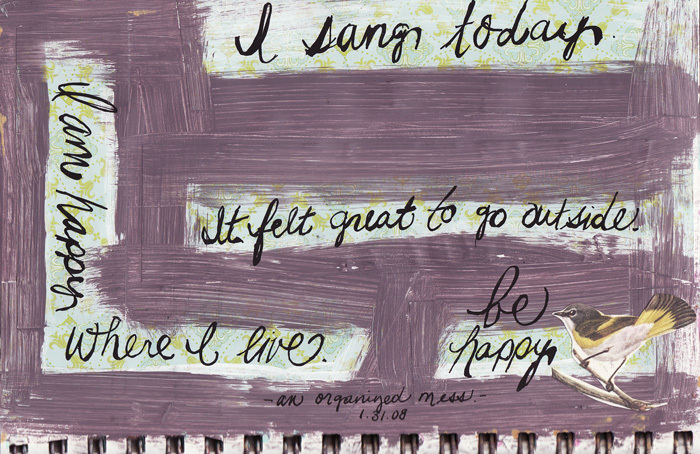 I did not make this journal page yesterday. I made this page when things were looking good...since then I have contracted a terrible cold. Much worse today than yesterday and all I feel like doing is sleeping. Alas, there is a 2 year old with different plans calling the shots in Luggage Manor. I hate being sick.